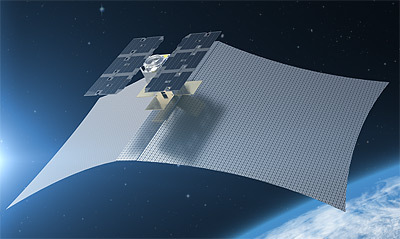 The satellites feature an X-band Synthetic Aperture Radar (SAR) with resolution of 0.5 m to provide all-weather imagery using an origami-like antenna that unfolds to almost 100 square feet. The first satellite, Capella 1 or SpaceCap, was launched on Spaceflight Industry's SSO-A multi-satellite launch on a Falcon-9 v1.2 (Block 5) rocket. The second satellite, Capella 2, will be launched as a co-passenger on an Indian PSLV in 2019. A third one is also planned for 2019. The first satellite will strictly be a technology demonstration mission, but two more scheduled for launch next year will start providing SAR imagery. The full constellation of 36 satellites establishes a symmetrical 12-plane, high-revisit constellation, which will provide hourly imagery of any location on Earth. Capella 2 - 2019 Sr PSLV with ? Capella 3 - 2019 with ?